Whirlpool 21.2 Cu. 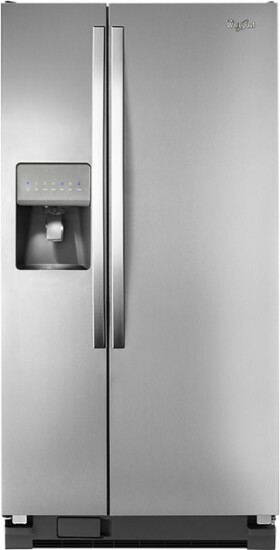 Ft. Side-by-Side Refrigerator with Thru-the-Door Ice and Water: Refrigerator temperature is managed via sensors so food stays appropriately chilled. Plus, a sensor-controlled defrost cycle helps protect food from freezer burn.